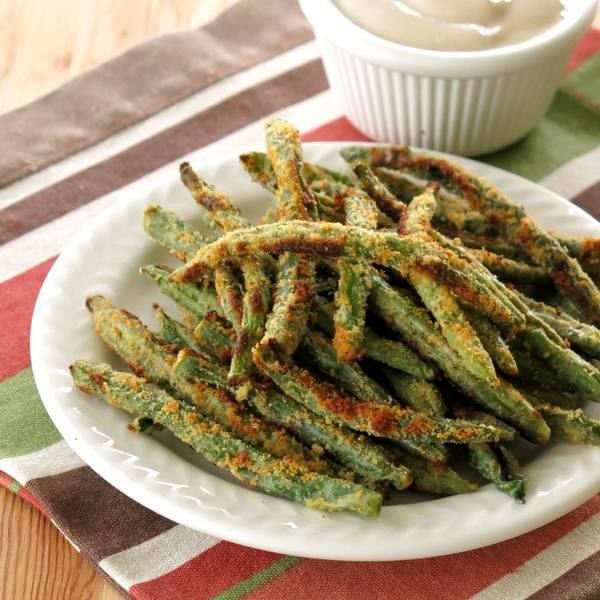 Baked Green Bean Fries are breaded in Parmesan and cooked until crispy. Dunk them in a Balsamic Yogurt Dip or eat them hot out of the oven. Either way, you’ll satisfy your need to crunch with this low-carb, gluten-free recipe. 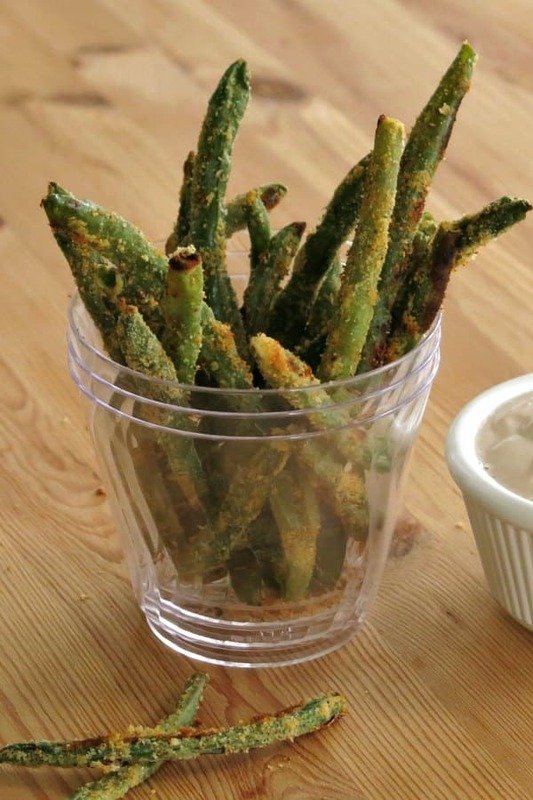 Baked Parmesan Green Bean Fries are the newest rage at our house. They’re an alternative to Carrot Fries only this time cheese is involved! While I would be hard-pressed to find anyone at our house happily munching on a cooked green bean as a snack, these “fries” are transformed into finger food. Put them out as an appetizer and you’re sure to make low-carb and keto dieters very, very happy. Or shake things up at dinner. How about some fries with your turkey? Or your latest chicken dinner? Luckily, this recipe is EASY to make and the beans cook very quickly! Wash and trim the beans. Snap off the ends, nip them with cooking shears or cut them with a knife. It really doesn’t matter how you do it. Get rid of the strings and hard ends. Make sure to pat them dry with a paper towel before moving on to the breading step. Coat the beans with olive oil and then toss them in a mixture of finely grated Parmesan cheese, salt, pepper and paprika. The “breading” is very similar to the coating used on Broiled Scallops with a Parmesan Crust. Keep a bag of the breading mixture in the refrigerator or freezer and these are just minutes to make. Bake the fries in a hot oven (425 degrees F) until crispy and starting to brown. Turn the oven to broil for the last few minutes to make them even crispier. That’s it! Pro Tip: Place a cookie cooling rack on top of the sheet pan so the beans are crisped on all sides! Make a vegan version by using nutritional yeast instead of Parmesan Cheese. Add breadcrumbs to the mix for a more heavily coated fry! Are Green Bean Fries Keto? Green beans are naturally low in carbohydrates and full of nutrients, which make them perfect for a low-carb or keto-friendly diet. The nutritional information below includes the dip. Subtract 2 Carbs and 3 grams of Protein for the dip. A dip really isn’t necessary. The beans are so tasty hot from the oven. But, this dip is a cool and tangy contrast to the hot bean fries and dips always seem to up the fun factor. This dip has just 3 ingredients: Greek yogurt, balsamic vinegar and garlic powder. 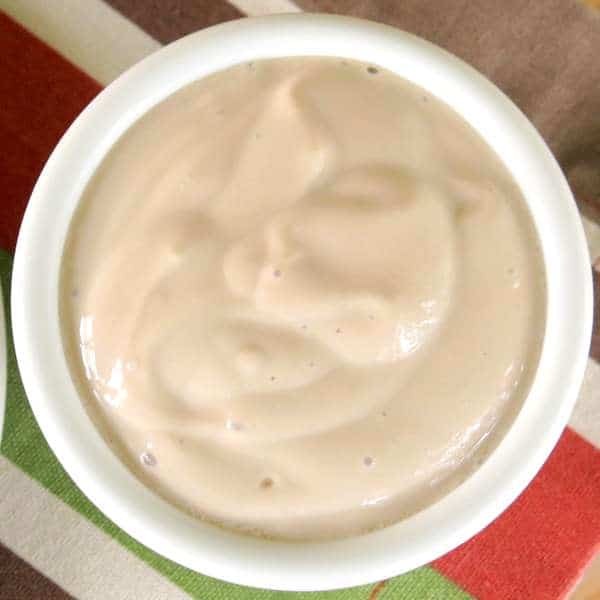 Make sure to blend the mixture thoroughly so that the balsamic vinegar is fully incorporated into the yogurt. We used an electric mixer for the job. Drizzle the dipping sauce over the beans for a fancy, schmancy presentation and pass a big plate of fries to the smiles of your guests. Serving idea: Stand baked green bean fries upright in a cup or cylinder, like you would for fries. This presentation is perfect for an informal party. We hope you enjoy this recipe! Tag @DinnerMom or #DinnerMom on social media if you make it! We’d love to see what you are cooking up. 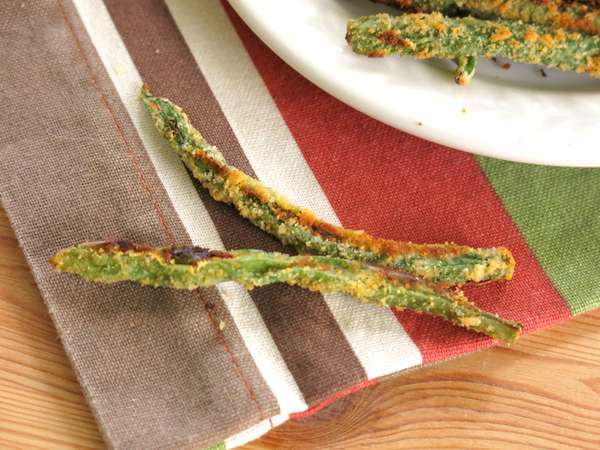 Amazing Baked Green Bean Fries breaded in Parmesan and cooked until crispy. Low-carb and gluten-free recipe that will satisfy the need to crunch! Toss green beans with olive oil. In a separate bowl mix together Parmesan cheese, salt, pepper and paprika. Working in batches, lift green beans into the bowl with the Parmesan mixture and toss to coat. Transfer beans to a baking sheet lined with aluminum foil and coated with cooking spray. Beans should be in a single layer. Roast for approximately 12 minutes and then turn heat to broil and cook for about 2 minutes more. Beans will begin to brown in spots, but will not be charred or dark all over. To make dip, add the ingredients to a bowl and thoroughly combine. Oh my these look so good. Good. They just look so good. I want to bake some up right now just so I can have that dip! Those are so addictive! Love ’em. I am a total french fry lover, I need these!!! I am loving this idea!!! These baked green beans sound so good!! 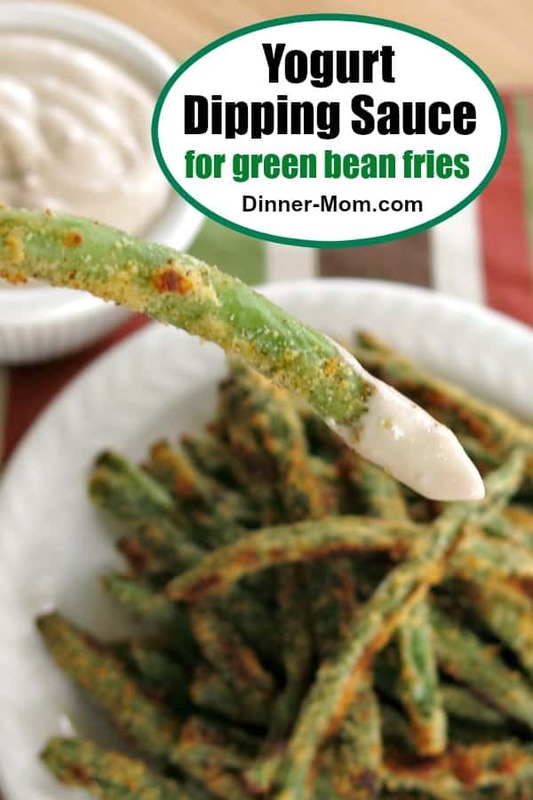 Never tried green bean fries before– looks great! These look delicious for the holidays! Can’t wait to try them. These look awesome. We all love green beans, these would be a huge hit! I bet these will be a hit with all of the kids at Thanksgiving! Adults too! 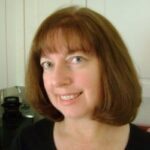 SO funny I just posted Oven Fried Garlic Parmesan Green Beans last week! SO yummy right?!! What a yummy side dish! I love how nice and crispy they get. These would be an instant hit at my house! Looks scrumptious! It also looks like something my nieces and nephews would gladly devour. I’d probably eat the whole batch straight from the pan! Baked Green Bean Fries are right on top of my list for Thanksgiving! Fresh baked green bean fries? Oh, yeah. Sign me up! I love green bean fries! Oh I’ve got to make that Balsamic Yogurt Dip for mine! Those look fantastic – perfect for snacking this weekend! 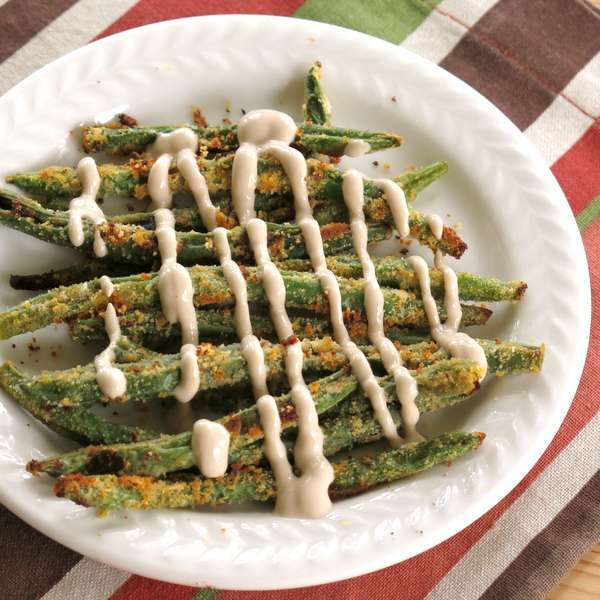 I would take your green bean fries over casserole any day of the week! Plus that dip looks delicious! These are perfect for summer beans! We love how crispy they are! Thanks for your comment. I’m so glad you like them! Oh man these are awesome! Loving the greek yogurt dip too! Delish! I made these a little differently because I was out of some ingredients: I used onion powder instead of garlic powder, instead of greek yogurt I used regular plain yogurt with a swirl of olive oil added to it, and replaced normal balsamic vinegar (red) with white peach balsamic vinegar. I also added cayenne powder to the breading. Finally, it was too hot in the summer to use the oven so I broiled the beans. My only reservation is that these fries get cold quickly so they need to be plated and served right away. My family enjoyed them. They sound fanstastic! I’m so glad you enjoyed them! Crispy green beans! What a lovely idea and perfect for kids!